Matt Friedman and Adam Scott, Wing Zone’s founders, spent many a night in their fraternity house kitchen perfecting the recipes that one day would become Wing Zone’s trademark flavours. They quickly outgrew the frat house and went on to open locations in Gainesville, FL. 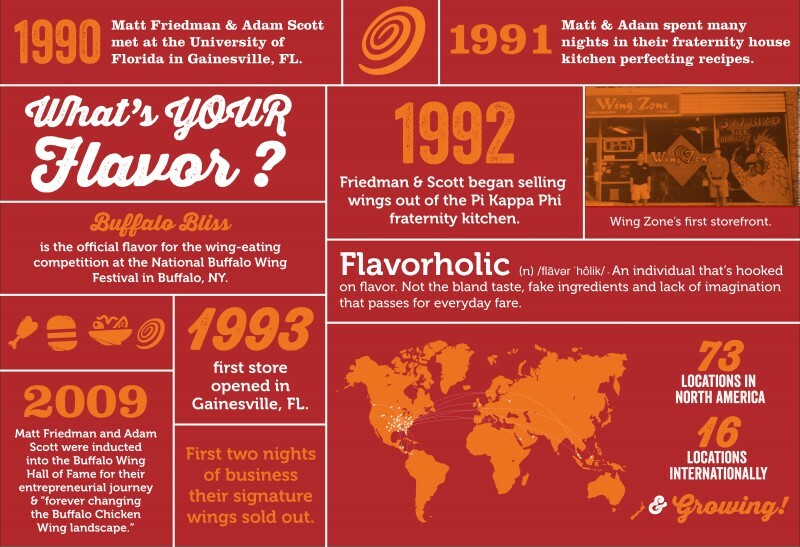 Starting with a single store, Matt and Adam built the Wing Zone brand, satisfying the cravings of Flavorholics in other towns, states and now, worldwide. Wing Zone has more than 76 Stores in North America & 16 internationally. They have recently opened their first UK store, in Finsbury Park, London.